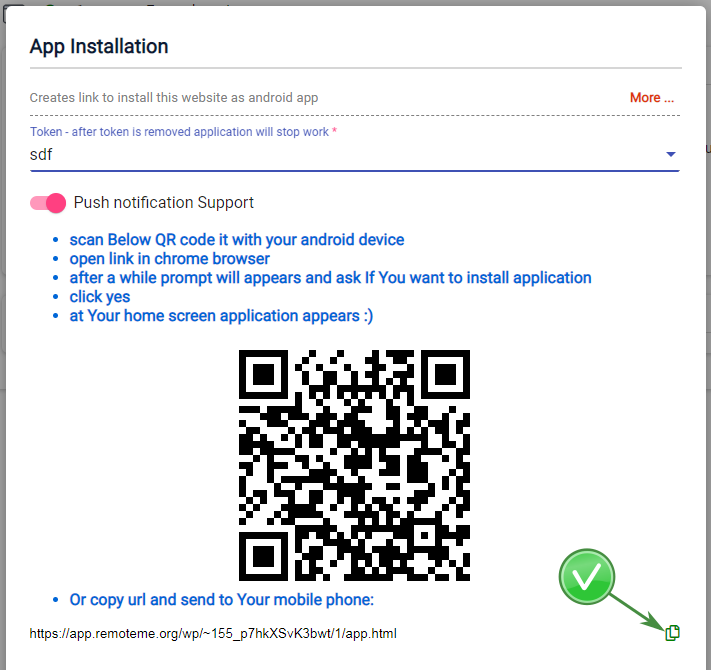 Push notifications – give the possibility to send a message to a mobile application / browser, even when the application / website is disabled. This allows you to notify the user when an event has occurred. 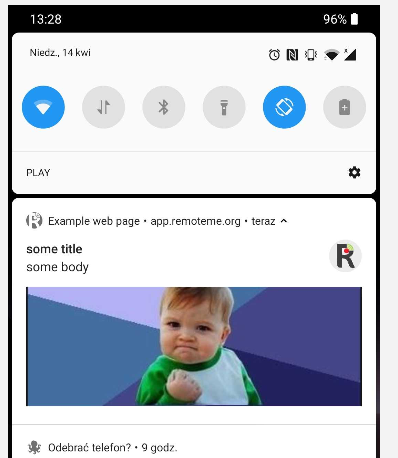 pushSupport.js – registers a button to show the status of notification, displays a message to enable push messages, and support push notifications when the application is enabled. The code to be pasted from the sending device. We send a test notification. 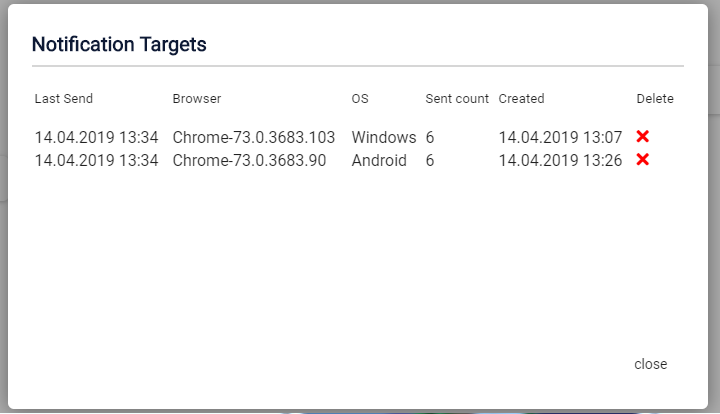 Note – that the notification will be delivered in this way, the domain app.remoteme.org can not be opened in any of the chrome tabs. 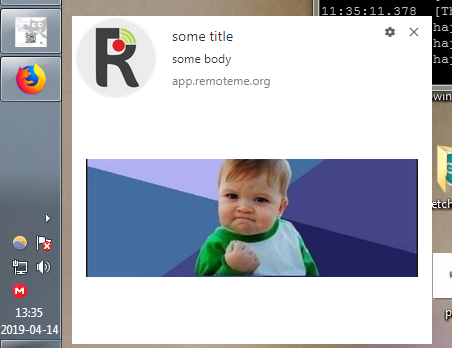 It happens that we do not want to receive a notification anymore or we either revoke the application’s permission or remove it from remoteMe. On the RemoteMe page your application, where the application instance ID is in eRdDNzkuF78 format: APA91bH6LkgBJAE1QH [...] AQzTc5f this string of characters is not possible to extract any of your personal data. 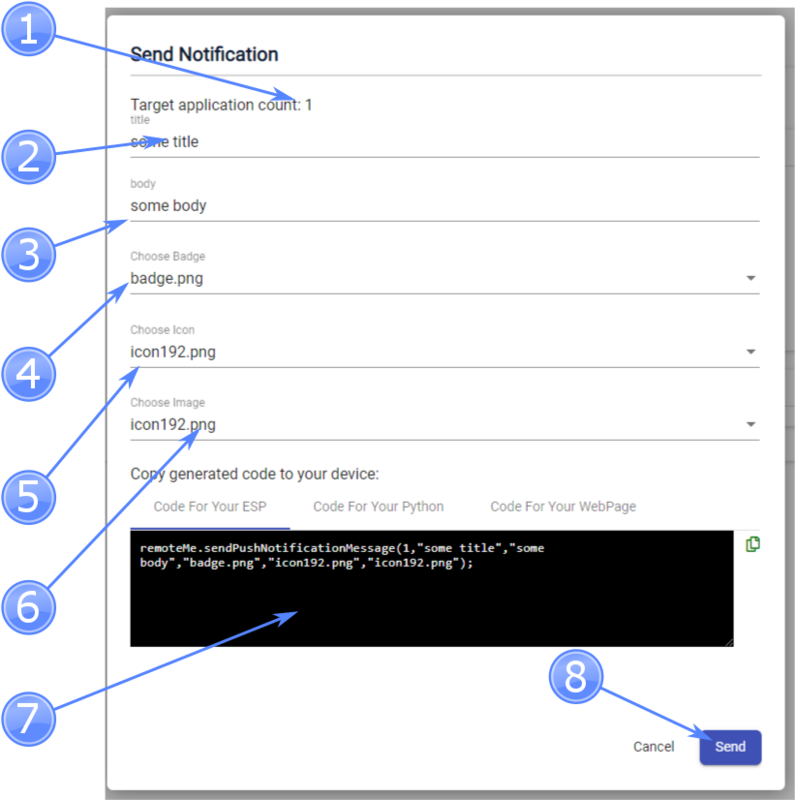 The RemoteMe platform does not store or log the content of sent messages.